For a wrap up of Mental Health Month Can Too Board Member, Avril Henry (pictured above holding Fundraising Star certificate) details how Can Too delivers on the key ingredients for mental and physical wellbeing. 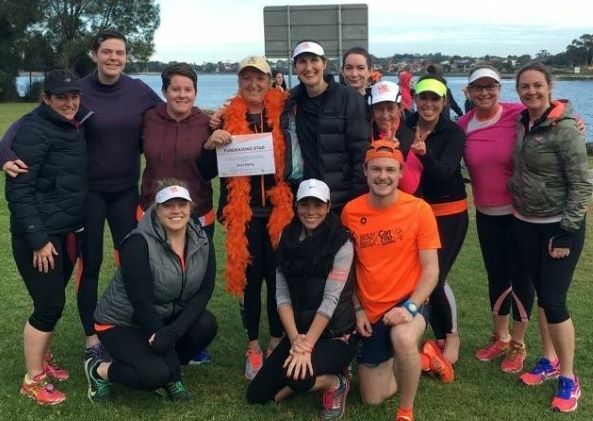 Avril is currently on a mission to run a marathon, a half marathon or full distance race, on every continent to raise money for cancer research. 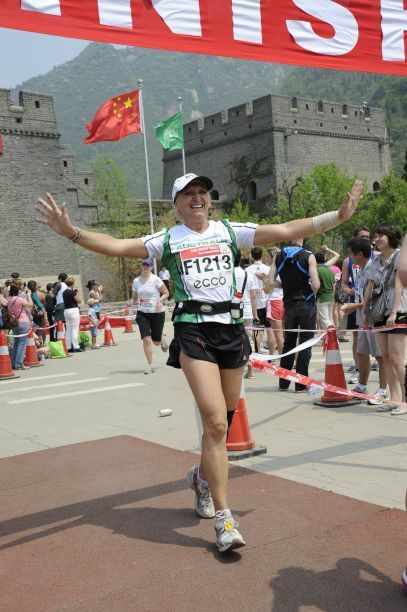 “So far, I’ve run the Venice Marathon in Europe, the Great Wall of China Half Marathon in Asia (see image above), the New York Marathon in the US and the Big 5 Half Marathon in Botswana, Africa and I’ve also run a few races in Australia. 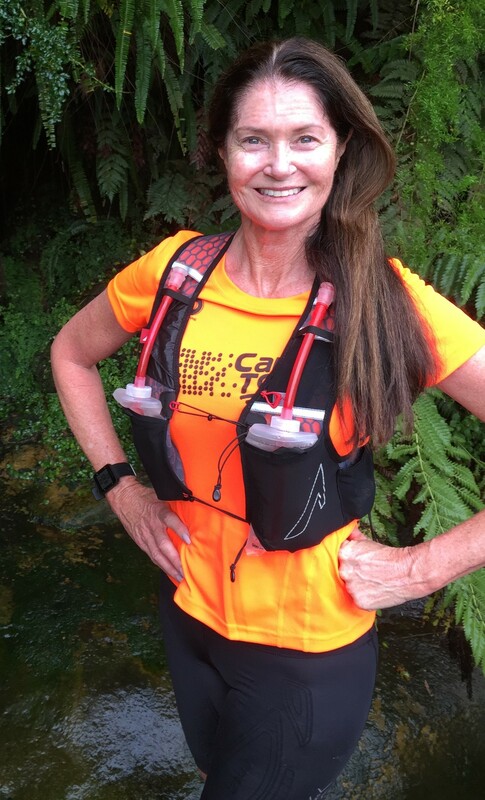 I’ve still got to do Rio in South America and I’ll run in Iceland next year for Can Too Beyond, as the Arctic is too cold it’s the closest I could get to it,” says Avril. In between her running every corner of the globe Avril helps companies provide effective leadership that cares about their staff’s physical and mental wellbeing. “We know from the research there are several things that are important for mental wellbeing and Can Too delivers on these,” says Avril. She explains that by being part of a Can Too training pod, meeting twice a week, allows you to get to know people well, they become your friends. 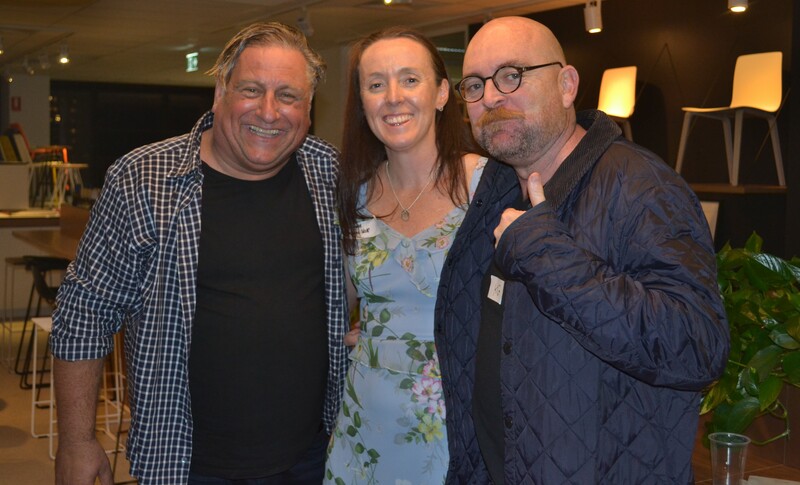 “To surround yourself with like-minded people who have similar values and a positive outlook on life is good for you and you find that in bucket loads in the Can Too community. “The thing I enjoyed the most was the connection and meeting people in my local area especially as I travel a lot with my job. So being part of a group and the social activities to celebrate program milestones is a really good way of being connected to people in your local community. The mentors also support people who have never done anything like this before. They really stick with people who are struggling or if they feel embarrassed about getting left behind or if they can’t run the whole way. And the captains bring the whole team together and encourage everyone. Often the captains are good runners themselves but they’re very conscious of making sure the whole pod gets across the finish line. 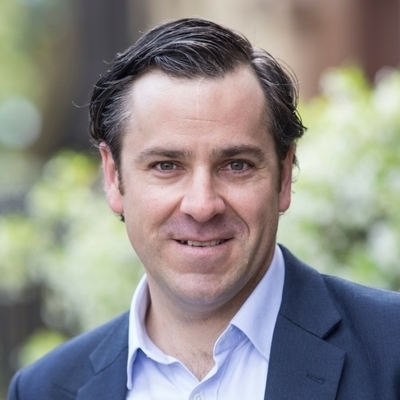 “To get enough sleep is seemingly simple but given how people have got busier and busier and how much technology and social media have invaded are lives, I think we have given away some very basic things for mental and physical wellbeing, like sleep. A good diet is key including eating fresh rather than processed or pre-packaged foods, says Avril. The organisation also provides healthy tips and recipes for participants, such as this nutrition guide. 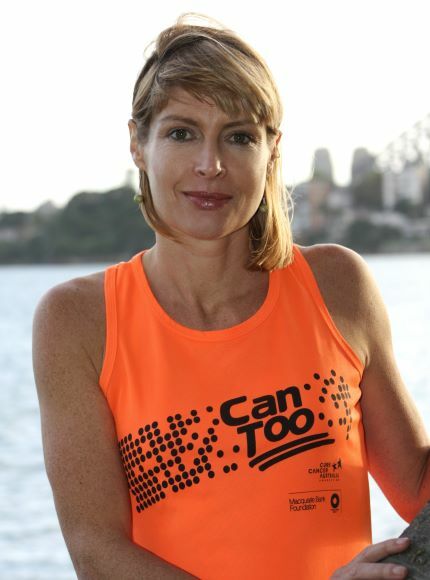 Can Too is also about setting goals to complete a race such as a marathon. “It’s really important to set dream goals, but you have to be realistic about them by breaking them down to smaller goals, then as you achieve a goal you set the next goal and the next goal and so on. "When I was at school growing up in a low socio-economic family in South Africa I set my first goal to win a scholarship to go to university. I subsequently did win a scholarship as dux of my school and then I had a goal to run the New York Marathon. It took me from setting that goal at age 18 to run the New York Marathon at age 50 (see image below). As somebody with no money living in South Africa, New York is a long, long way away, but I never gave up on that goal and I worked towards it. “It’s the same with anything we do for Can Too. 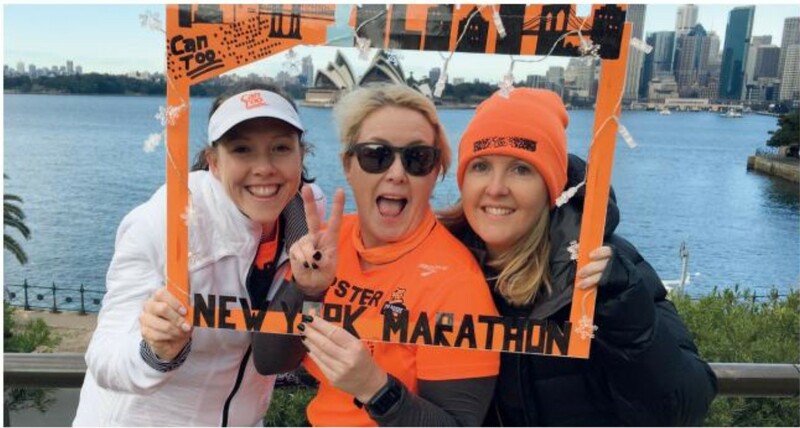 If you’ve never run before, swum before, or cycled before you can start with a nine-kilometre race and build up to a half marathon then a marathon. Whilst a marathon is really hard work I do think that most people can run one. The Managing Director of AHAA, is currently recovering from a shoulder reconstruction due to injuries sustained in a car accident. However, she’s not letting her injuries hold her back from achieving her goals. She will take part in a Can Too February running program to prepare her from a half marathon in Sydney then for her race in Iceland.